Hi! Hoping all had a merry Christmas and will have a wonderful New Year, full of everything good, and the strength to do everything possible for vibrant and glowing health and happiness. ! Been asked by lots of people to elaborate on the short report about an easy to get hold of supplement, Lipoic acid, in MS, that was part of this blog post; most importantly, where to get supplies of the dose that was used in the study ( 1,200mg daily). “Lipoic acid for neuroprotection in secondary progressive multiple sclerosis: results of a randomised placebo-controlled pilot trial,1” was reported on by Dr. Rebecca Spain, MD, MSPH, a neurologist in the Oregon Health & Science University Multiple Sclerosis Center, also working with the VA Portland Health Care System, at ECTRIMS 2016. The trial was randomised; around half (27) took 1,200 mg of lipoic acid, around half (24) took a placebo for 96 weeks, and neither the patients nor the clinicians knew who was taking which. They measured brain atrophy ( shrinkage), which is a way of showing loss of neurones in the central nervous system, and also neurodegeneration in the spinal cord and eye, neurological functions, cognition, walking, fatigue, and quality of life. Five participants in the lipoic acid group, equaling 9.8 percent, quit the study early, but the remaining patients took about 80 percent of their daily lipoic acid doses. Researchers found that the annualized rate of whole brain tissue loss was significantly lower in patients receiving lipoic acid. After two years, treated patients had lost about 0.4 percent of their total brain volume, while those in the control group lost 1.3 percent during the same time; brain atrophy was reduced by 66%, almost to within normal limits. Those receiving lipoic acid were also found to walk faster, and had half the number of falls. The treatment did not increase the occurrence of adverse events, but researchers noted that lipoic acid was linked to more stomach problems. So; what is the mode of action of Lipoic acid? Why might it be working so well in MS, and where can you get hold of higher doses? Lipoic acid is an anti-oxidant, meaning that it helps to protect cells, including those in the brain, against damage from ‘oxidants’, or ‘free radicals’ which are unstable, oxygen-containing molecules, that damage other cells to protect themselves. Free radicals are both produced in the body as a result of metabolism, energy creation and, importantly, inflammation, and also come from environmental factors, such as air pollution, radiation, UV light and cigarette smoke. 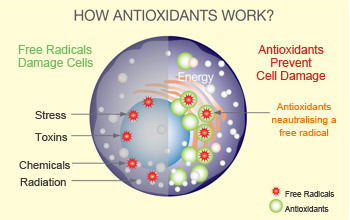 Anti-oxidants can help to fend off viruses and microbes, but an imbalance, with too many anti-oxidants, has been linked to the development of more than 50 diseases, the most commonly discussed being heart disease and cancer. and goes on to report a ‘several thousand-fold differences in antioxidant content of foods. Spices, herbs and supplements include the most antioxidant rich products in our study, some exceptionally high. Berries, fruits, nuts, chocolate, vegetables and products thereof constitute common foods and beverages with high antioxidant values. But if you want to replicate this study, where participants took 1,200mg of supplemental lipoic acid, you need to find a high dose ( and probably, reasonably priced) supplement. If money is no object, then it’s a good idea to spend more and buy from a reputable, high-end source. If, like me, you need to keep an eye on the pennies, then I’ve done a scout round for cheap, high dose, vegetarian. I don’t have any vested interest in any supplement companies, and am not qualified to judge their products or to recommend supplements; you always need to take your own responsibility for your choices, based on your condition. However, lipoic acid seems to be a safe supplement. I am going to be protecting my brain, I hope you’ll protect yours! Why do people with MS experience fatigue? 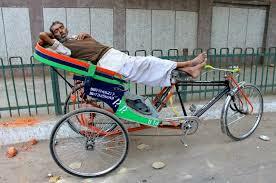 Fatigue in MS is of 2 types. Motor fatigue, or ‘short-circuiting’ fatigue, is when the difficulty of transmitting the electrical nerve signal down demyelinated, or damaged nerves, overwhelm the body’s ability to produce ATP ( the energy molecule). Fatigued muscles just have to stop; you feel as if you’ve run a marathon, it’s like hitting ‘the wall’ for an athlete, and you have to sit down. 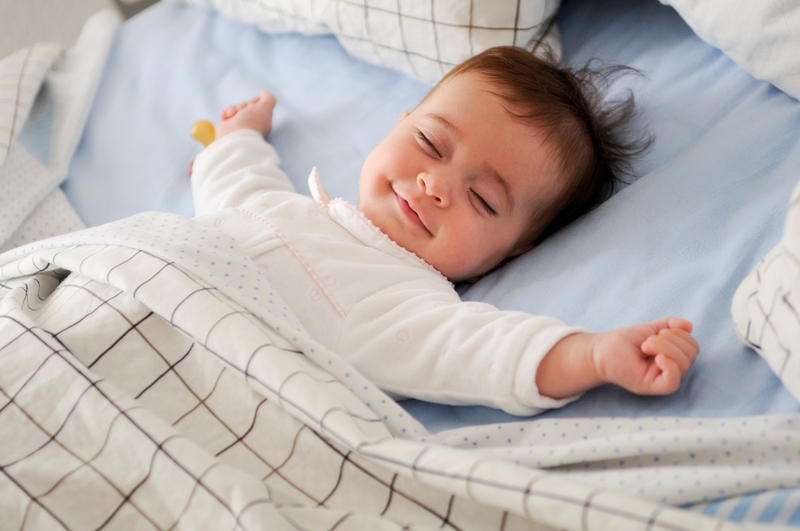 After a short while, energy is replenished, and you can go again. Lots of research and debate has been carried out about what causes this type of fatigue; an interesting study reported at this year’s ECTRIMS conference investigated whether fatigue was more strongly linked to lesions in the brain, or to inflammation. They found a strong correlation to inflammation as the driver of this type of fatigue. So to address Fatigue, we need to address the MS itself, and take both a short and a long view. The good thing is, there is a lot you can do to address both MS itself, and the problem of fatigue. Call a family meeting, explain that fatigue is a physical problem in MS, and give the family information about it, set rules and boundaries and share out the chores! Save your energy for the stuff that counts – if you can get a cleaner, do so! 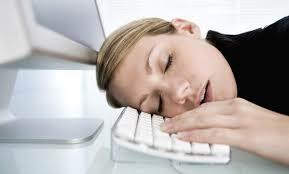 It seems obvious, but if your sleep is poor, you will have fatigue! Use the HeartMath technique, for 10 minutes every morning, plus whenever you experience negative or worrying thoughts, or mind is free, and when you’re going to sleep at night. imagine blowing up a balloon in your belly as you breathe in – your abdomen should rise first, then abdomen squeezes in as you expel the last bits of air out. HeartMath is wonderful – I can’t find a good website to make it simple; you can buy all kinds of gadgets to allow yourself to see how you’re doing and coach yourself further, but the basic technique is this simple, and it has powerful and far-reaching effects on your resilience to stress, amongst other things. Energy is created in our bodies by mitochondria, the ‘powerhouse’ of the cell. Each cell contains up to a thousand mitochondria. Mitochondria take fuel from the food we eat, and transform it into energy. They generate a chemical called ATP, which transports the energy for use by the body. 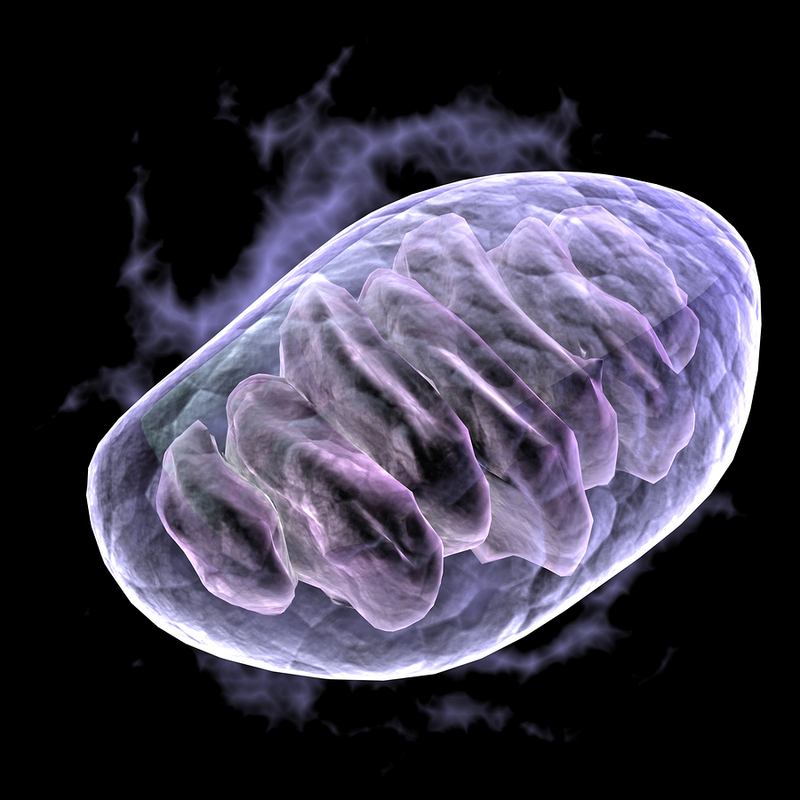 In order to function properly, mitochondria need the fuel of excellent nutrition and oxygen. Everything that we put in our mouths can either be pro-inflammatory or anti-inflammatory; what we eat has an impact on inflammation. See www.overcomingmulstiplesclerosis.org for this type of diet, which could be expected to reduce inflammation, www.fatfreevegan.com for recipes. Also have a look at the work of Terry Wahls, a medical doctor who reversed her own secondary progressive MS with advanced nutrition, online. I prefer the overcomingms diet as above, but Terry’s extras like green smoothies and intense nutrition make sense to add in. Be aware of food intolerances. More people with MS have full blown celiac disease than in the general population, but you can also have a milder food intolerance that is not picked up by clinical allergy testing. Experiment to find out if some foods worsen your fatigue, by excluding them for 3 weeks and then bringing them in and noticing. Common irritating foods are bread, cheese, dairy products, gluten grains, sugar, and sometimes beans, but many people have individual things that they don’t tolerate. A study published this year found a significant reduction in fatigue in people with MS who took 500mg of Co-enzyme Q10 daily. B vitamins – some people are deficient in these, which can mimic symptoms of MS; some people report these help with fatigue; probably when there has been some deficiency present. Many people report that hyperbaric oxygen improves MS fatigue; if this isn’t possible, at least do deep breathing! “The very best thing for me has been taking Oxygen Therapy at the MS Centre. There are 56 centres to choose from so there’s almost bound to be one near you – unless you live in Northumberland or Cumbria. 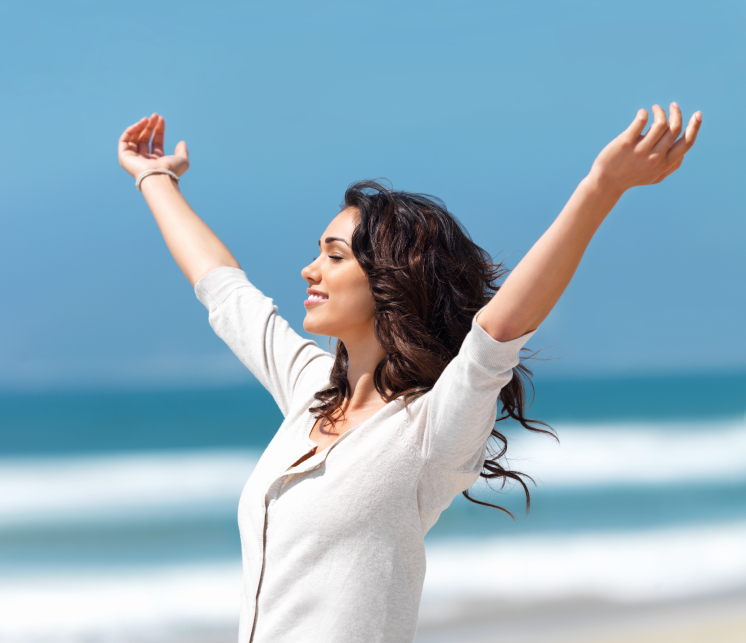 With Oxygen Therapy and MS, lots of us find there there is an optimum pressure. The ascending protocol suggests that people should start at 1.5 ATA, move to 1.75 ATA and then try 2 ATA. After each session note down how you feel immediately afterwards and then again about 24 hours later. Once you’ve tried all three pressures you should know the one that suits you best. Regular cardiovascular exercise can help to raise oxygen and energy levels, in your own zone of tolerance. Exercise has been shown to be strongly anti-inflammatory – make it part of your daily routine in one form or another. Bedford, Portsmouth, Kent, Sutton & Croydon, Leicester, Berkshire and Hertfordshire and MS-UK’s Wellbeing centre, Joseph’s Court in Colchester. Lots of therapies, including Shiatsu, Reflexology, Yoga and ‘EFT’ tapping are found by people to improve wellbeing, energy and sleep which may then help with fatigue. Remember that Disease Modifying Therapies (DMTs) all aim to reduce inflammation and relapses, and by doing so, can have a marked impact on reducing fatigue and improving how you feel. If you are eligible, but not on a DMT, review and reconsider the situation. If you’re on a DMT but still having relapses, request a review, as per the the MS Brain Health Campaign. And when choosing a DMT, ask about the common side-effects, explore how other people have responded, and choose one that fits best with your needs and aims. In summary, with both long and short term strategies, there are lots of things you can do to beat fatigue and enhance your energy. Some of the long term strategies take longer to bear fruit – but keep going; many people with MS can remember a time when they were so much more fatigued than they are now. Wow, what a full on 3 days for the brain! So inspiring to see a sea of research posters, a vast menu of presentations , and 8000 engaged delegates filling up on the latest research. Yes, but ONLY in cases of early/new, highly active/aggressive relapsing remitting MS, where person is young, still walking, and treatment with first & second line treatment have failed. This beautifully carried out RCT had people with progressive forms of MS taking 1,200mg of Lipoic Acid, a supplement often sold as an ‘anti-oxidant’, and also called ‘alpha-lipoic acid’ once a day. A control group took a placebo. After 2 years, the group taking the lipoic acid had a whopping 66% less brain atrophy on MRI scan ( showing less loss of brain cells), taking them back to a normal rate of brain atrophy, and half the number of falls. Love it when something so harmless is investigated properly and found effective. Especially good to have something positive for progressive MS! showed that as we know, effectiveness in reducing relapses from lowest up goes: Interferons, then Fingolimod, then Alemtuzemab and Tysabri. The last 2 showed the same effectiveness in preventing relapses. Natalizumab also showed improvement in disability in the first year, but not after that. and as we now the side effect profile and the way you take it is very different. Tysabri also has a rebound effect if and when you stop taking it. research was presented that showed this drug performing very well in ‘resetting’ the immune system. Around 60% of people did not need more than 2 infusions, and NEDA ( no evidence of disease activity) was very high., but only when used EARLY. Time to change from the ‘wait and see’ attitude? This is the push from leading MS experts. Maybe check in with the MS Brain Health campaign if your neurologist is dragging their feet. very strong evidence coming through from numerous sources that notwithstanding previous medical controversies and uncertainties, all people with MS should be on high dose from diagnosis – 4-5000 IU daily at least, and testing ( backs up info already posted on this blog) MS Base ( a database with over 41,000 people with MS’s records) showed a clear seasonal peak in relapses around the world, at the end of winter; with a time lag, shorter in colder countries. Low vitamin D levels were the strongest risk for progression in another study, and added a further anti inflammatory effect to people already on a disease modifying treatment, in another. One study found that people with MS given 100,000 twice a month for 2 years had a 60% reduction in relapse rate, and a 78% reduction in new lesions, compared to placebo. Powerful stuff, hopefully enough to finally swing the doubters. 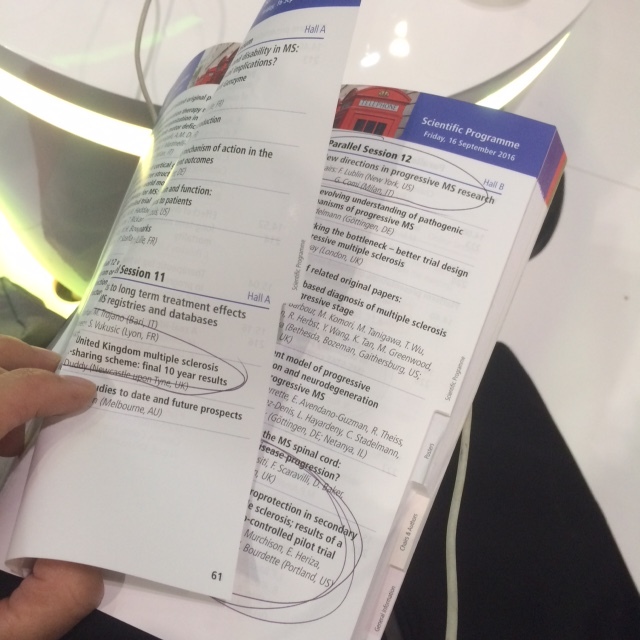 presented as promising new treatment but I missed that session so – investigate! MS from an energy perspective. Q:Why are animals with experimental animal MS paralysed? Q Why are axons depolarised? Q: Why is the inflamed central nervous system hypoxic? Q Why is blood flow reduced? Went on to describe how animals with this experimental model of MS respond very well to hyperbaric oxygen: Oxygen therapy reduces pattern 3 demyelination. 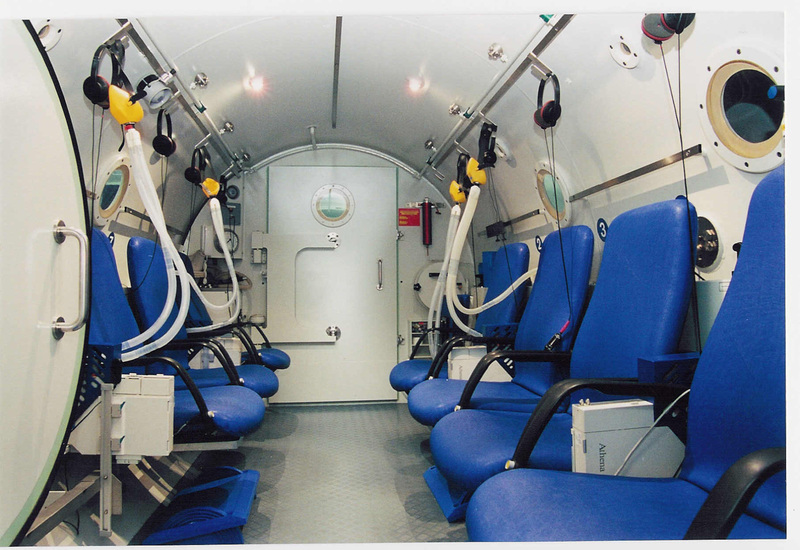 So maybe we will see some new research showing usefulness of hyperbaric oxygen? If you can access it, I always say that it’s worth trying, and observe the effects on yourself. Feels like finally, the importance of aspects of diet is being addressed and listened to in MS research. In fact all present were enjoined Not to ignore environmental factors. Hurrah! a strike for logical thinking! 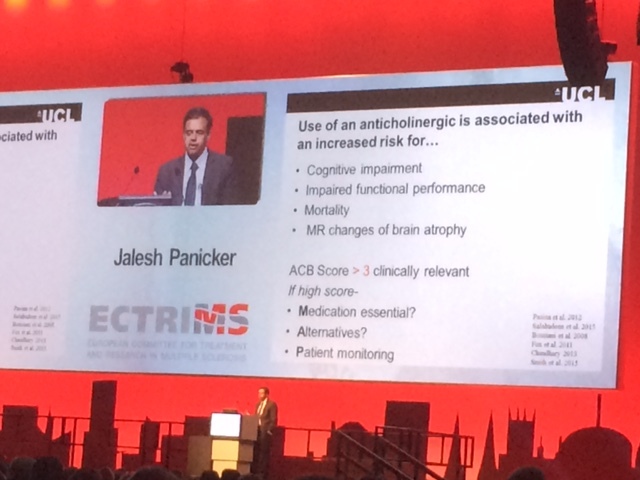 This was a feature of quite a lot of research at ECTRIMS. Lots of research on the role of the Biome ( bacteria in the gut) and how it affects MS. Interesting, exciting, but we still haven’t nailed practical application yet, so best bet is Take a daily probiotic capsule or powder, with as many different strains in as possible. And do these things, discussed previously. 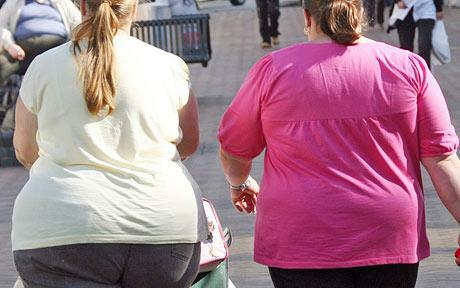 Being overweight was identified as a serious risk factor for both developing, and worsening with MS. If you’ve got pounds to lose, check out the excellent ‘Fast Diet/ 5:2 diet’, showcased by Micheal Moseley on the BBC -https://thefastdiet.co.uk/ fasting also has benefits for inflammatory conditions. salt stored in the skin was posed as a driver for auto-immune neuroinflammation in one paper. People with MS were found to have higher levels of salt in the skin….so that too… we could all cut down our salt – most is found in processed foods… and as you do it, your tastebuds acclimatise so it won’t mean you won’t taste your food. Conference ended on a high note, celebrating the huge progress that has been made in preventing disability – progress that started even before the availability of the disease modifying drugs, but has in recent years added a further 15 years of non-disabled life to the average MS-er, and is still making leaps and bounds. I hope I’ve made an accurate summary of the sessions that I attended – mistakes are possible, and they will be all mine. If you spot one, please let me know! That’s all for now, til the next time! 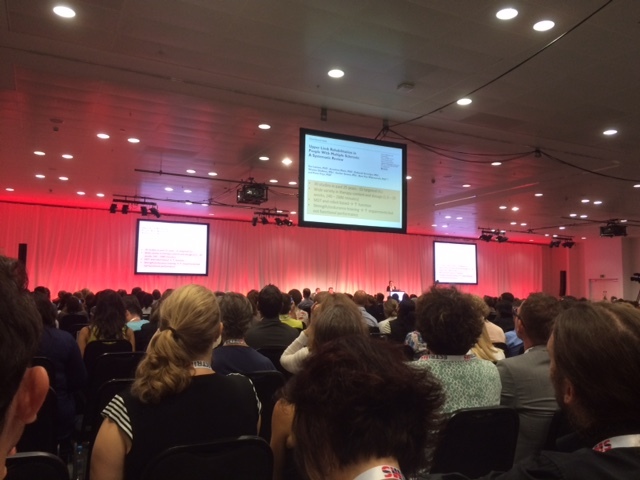 Hell o from the 32nd congress of ECTRIMS, & the 21st conference of Rehabilitation in MS.
With over 8000 delegates, all specialising, of with a special interest, in MS, it’s a privilege to attend! Loads of lectures run concurrently, so you can never attend everything. And the really science-y lectures, that are not yet going to make a practical difference to my patients, tend to go over my head a bit. Or a lot, depending! So here’s a digest of what I’ve learned so far, that has a practical application for people with MS! 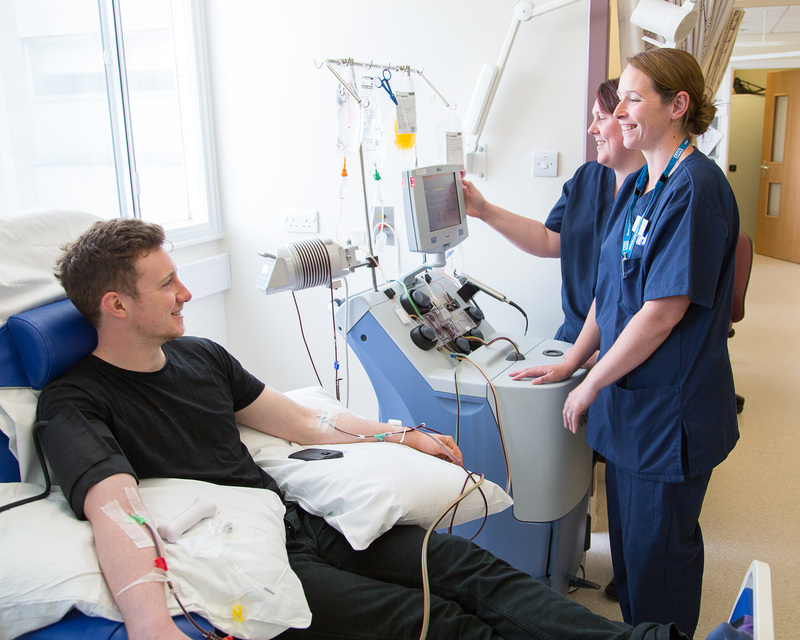 in order to Personalise treatment – this means ” the right drug, at the right time, for the right person. And, at the right price.” Moving away from ‘first-line’ and ‘second-line’ treatments, to personalised treatments. Did you know that people treated with a disease modifying treatment before the second relapse developed less disability? This is a campaign led by Gavin Giovanonni of Bart’s ( UCL) hospital, London, and an international steering group of MS experts, with funding from some of the major disease modifying therapy (DMT) manufacturers. The focus was on healthcare professionals, to improve services for people with MS, with, again, speedier diagnosis, prompt treatment, adequate follow up to find out if treatment is working, to allow an alternative or more aggressive treatment if the original one is not having a good enough effect, and certain standards of MS care – eg – noone with MS should get a pressure sore in your area of care etc. You know that I believe in doing even more! This presentation was kind of frustrating. Only because we all know physios, OTs, psychologists, physical therapists who do great work that makes a big difference to people with MS’s health and lives. But because we’re not organised or funded to perform large scale randomised controlled trials ( as drugs are), most of the studies done aren’t ‘robust’ enough to prove the effects. This is a problem in and with the evidence based medicine approach – it has a tendency to turn all medicine into pharmaceutical medicine. SSRI antidepressants (I’d have to know a lot more about that before recommending this. Like, is this all theoretical or have they conducted studies to show this effect?? Nothing new for me as an MS Nurse here; I’ll do a blog on the bladder; but confirmed the point I made earlier in this post about alternatives to anticholinergics that cause cognitive problems, and nice to see it being discussed. Add to that: Darifenacin or Tropsium if you can’t get Mirabegron. whether it was more associated with damage and lesion load in the brain, which can be measured by MRI scanning, or by inflammation, which can be measured by inflammatory markers in the cerebrospinal fluid ( CSF ) taken by lumbar puncture. What they found, was that there was no significant relationship between damage and lesion load in the brain, but there was a significant relationship between inflammatory markers in the CSF. This suggests that inflammation, rather than structural damage, is responsible for fatigue in MS.
Study showing good effects on refractory ( ie won’t respond to any treatment/ drugs) tremor, in a small group of 11 people. 8 (73%) showed benefit at 6 months. 2 did not benefit; they had ataxia ( like clumsiness) rather than tremor. One got infected and had to have the leads removed. Kind of let down by the fact that they used a scale to show effectiveness, which didn’t show the actual result for the person’s functional improvement. So worth finding out about, but not a sure thing until we hear what the results of treatment for the actual people were. Grr! When you want to be in two places at once…. But I’ll try to finish this off tomorrow! 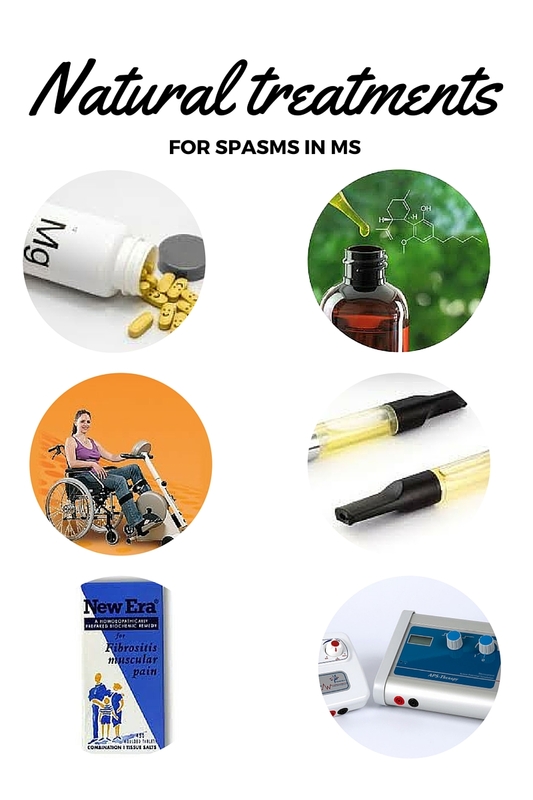 I often get asked about whether there is anything else apart from muscle relaxantmedication that can be done from MS spasms and stiffness, or spasticity. Now let’s get onto the natural options. 1) Exercise. Think of this as a preventative. Specific evidence that exercise is good for spasms is scant, mainly because most studies are small and all look at different things – most physios are too busy treating their patients to be immersed in the world of large scale randomised controlled trials! However, there’s good evidence that exercise in MS helps mobility, strength, fitness and mood, and some evidence that regular movement exercise reduces spasms. I have met people with MS with mild spasms, who report that on the days that they exercise, they don’t get spasms, and they days that they don’t; they do! 2) Magnesium can be effective as a relaxant in the nervous system, and so assist with reducing spasm and nerve pain. The recommended highest dose for daily use is 350mg; there have not been any dangers reported in taking more until you reach 5000mg and more, but it is possible to overdo. I found one case study on PubMed documenting a markedly succesful case study of magnesium for MS spasm, the other evidence is ‘anecdotal’ – ie, from peoples’ experience. For fast acting effect, magnesium citrate dissolved in water can sometimes do the job. Some people with MS report good results by using magnesium oil rubbed into the skin. Magnesium oil ( which is not in fact an oil, but magnesium chloride flakes mixed with water) is absorbed more efficiently than oral magnesium, and can be applied directly to the area affected. It’s generally left on for some time, then wiped or washed off. Risk of magnesium toxicity is usually related to severe renal insufficiency—when the kidney loses the ability to remove excess magnesium. Magnesium toxicity can occur in people with hypothyroidism, those using magnesium-containing medications such as antacids, laxatives, cathartics, and in those with certain types of gastrointestinal disorders, such as colitis, gastroenteritis, and gastric dilation, which may cause an increased absorption of magnesium. Oral magnesium may reduce the absorption of Gabapentin ( Neurontin) by up to 24%; another reason to try transdermal ( through the skin – oil/spray/cream) application. Case study: David has had MS for many years, and uses an electric wheelchair to get around, both in and outdoors. He works almost full time as a professional photographer. In November 2015, he came to see me in clinic, because leg spasms had started to cause a problem when transferring – it was vital that we sorted this out in order for him to continue to live independently and alone. We discussed increasing baclofen, but previous attempts had caused a lot of sedation. We discussed the use of tizanidine, but David was interested in whether any natural alternatives could be tried first, before requesting a prescription. We discussed magnesium, and he decided to try using magnesium, and after a bit of research, chose Magnesium 375mg with vitamin B complex, and also started taking Co-enzyme Q10 200mg tablets, three times a day, all of which he got from Healthspan. (Nb. 3 x a day is higher than the ‘recommended daily dose’). A week or so later, he was noticing an improvement ; he reported that the nuisance leg spasm on standing had gone, and he was also seeing some other improvements. As requested, here are details of the dose I am taking. I have attached scans of the backs of both packets, so you can see the full contents of each. I take another one of each with dinner at about 6pm. Every other day, I take a third magnesium tablet at about 9.45pm, just prior to going to bed at 10.30ish. The effects are most noticeable on the days that I take the third tablet, and the following morning. Once in bed, I am able to straighten my leg easily, fully and without pain or discomfort. I sleep better and am not disturbed by my leg spasming during the night. that it was taking me before I started the supplements. without realising and would have to hurriedly catch myself as I started to overbalance. sometimes needing three or four attempts to stand. Since taking the supplements, I can stand with the chair in the normal seated position. Possibly, being able to “feel” my lower leg muscles again is the biggest improvement, even if I cannot persuade them to move when I would like them to. A few weeks later, I saw him in clinic again, where he showed me that he is now able to stand and balance for a few seconds, just 2-3, for the first time in a very long time – which is when I took his picture! I encouraged him to consolidate his benefits by working hard in physio, and asked to be kept up to date on any further improvements. Since then, David has shared his experience with quite a few other people, who I have also heard promising reports from for spasm. I called him today, to see how things were going. He’s retained the benefits, but reduced the dose down to 2 a day rather than 3, as his urine became flourescent yellow. This is actually a sign of excess B vitamins being excreted ( which is also safe) – David thinks that he may well have had a deficiency initially, and is now replete. He’s: using a power-assist exercise bike to keep flexible, finds his right ankle is longer stuck at 90 degrees, having physio once a fortnight, and can now stand quite well for 15-20 seconds, possibly more – he hasn’t checked! Thanks, David for sharing your experience. Just because something is ‘natural’, doesn’t mean that it’s wishy washy; people are advised not to take magnesium with muscle relaxant tablets – but that’s because it enhances their relaxant effect, which is the aim in this case. Natural also doesn’t necessarily mean safe; you should check you don’t have any contra-indicated conditions or medications before starting any supplement regime., and stick to the recommended dose, as supplements can cause harm and damage in high doses. 3) CBD oil. We’ve known for a long time that cannabis can be effective in reducing muscle spasm in MS, and pain in many conditions, but the fact that it’s an illegal drug, and that the medication made from it, Sativex, is so expensive that most health trusts won’t fund prescriptions, has created barriers to its use. Now, there’s a completely legal alternative, available widely, for example on Amazon, which is CBD oil. This is one of the active constituents of cannabis, but does not contain the THC which makes people feel high. It’s available in liquid form from health food stores, and amazon etc, and can be taken orally by using just one drop under the tongue at first, or vaped with an e-cigarette. a) It has really helped. It’s not completely taken the spasms away, but reduced, far less painful and more manageable, especially the extensor spasm. He takes it in the evening only, and it seems to carry through until about midday the next day. b) It’s quite strong, and has a sedating effect, but not as bad as, for instance, Tramadol, and does not affect thought processes. c)He advises taking just 1 or 2 puffs and leaving it for 15 minutes to see the effects, and if you use an e-cigarette anyway, use a dedicated chamber for the CBD oil. There is some good quality evidence that TENS can be useful in reducing spasticity – Spasticity is the term that covers the whole clinical spectrum, from shortened, contracted muscles at the worst end, to the occasional spasm, /cramp at the other. It was more effective when used in conjunction with an exercise program than when used alone. I haven’t met anyone who has used TENS for spasms, but we have had some people at the MS Therapy Centre where I work who’ve been using APS Therapy for pain, who have also reported a reduction in spasms. We are now beginning to expand our trial and therapy to include spasm as an indication for treatment. 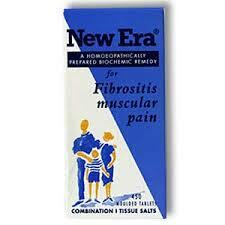 One of my patients swears by New Era homeopathic remedy for ‘Fibrositis muscular pain’, which makes sense as the ingredients, in miniscule doses, include magnesium and potassium. This is safe to try, whatever medication you may be on. So, lots to try, and if you have any more suggestions, please let me know. Stem cell and Unicorn poop! As with most treatments for MS, it is only effective for people with either relapsing remitting, or early progressive MS, for whom inflammation is a feature – ie relapses, or active lesions on MRI scan. It’s an aggressive treatment & has significant risks, including risk of death – now reduced to 1-2 per 100 people treated, due to infection. There are stem cell treatments going on commercially, which some people have travelled abroad for. Costs are between £30,000 and £85,000. Some clinics may accept people for whom the benefits would not be considered by UK clinicians to balance with the risks, and an important set of questions to ask yourself and the clinics, if you were to consider this, is on the MS Trust site. Stem cell therapy has the potential to bring significant benefits to some people with MS. It cannot be seen as a cure, as in trials, for some people, progression has continued after around 2 years. Good progress is being made through clinical trials & the outcomes of treatment are improving as more is learned. However, as research is still at an early stage, stem cell therapy is not widely practiced and the results of treatment for a particular person cannot be predicted. The risks should be very carefully considered, including the possibility of treatment-related death, and weighed up against potential benefits. And now, from one of my favourite topics, poo, to another – more poo!This very funny video has a great product to sell – the ‘Squatty Potty’, which gets you in the correct natural position to effectively ‘have your bowels open’, eliminating the U bend kink that puts everything under strain when you sit on a western style toilet. But it’s worth watching just for the handsome prince eating unicorn poop icecream. Hell, Happy New Year! 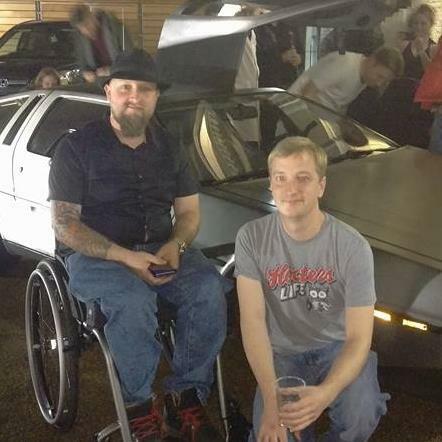 Proud to be asked to blog for Overcoming MS recently, and replicate my blog here. It’s inspired by my patients, of course, and the ups and downs you experience in moderating your health by adjusting lifestyle factors to address the serious condition, MS, and this is the first in a series of 2! OK, so one problem people worry about, is losing too much weight. What is “too much” weight to lose? What is ‘normal’ ? We know that the average weight keeps on rising, with the USA leading the way; the average weight for women in their 20s has increased by 13kg (29lb) since 1960 (1). A recent Gallup poll found that the average American man’s weight was up 7kg (16lb) since 1980 to 88kg (196lb), and women’s up 6kg (14lb) to 70kg (156lb). In our culture we’re used to seeing skinny models – in a weird stylised magazine world – but not skinny normal people, unless they’re unwell. But thin does not necessarily mean weak or unwell. In my 20s I spent quite a bit of time in India, and I remember being impressed at how incredibly strong the very skinny, but wiry, bicycle rickshaw drivers and train porters were…and feeling quite ashamed of my weak, chubby, western ways! Perceptions aside, another thing to remember is that weight loss will probably stabilise. So it’s okay to double-up on the flax seed oil, increase your nuts, seeds, avocados and oily fish if you feel you are losing too much weight. It’s obvious I know, but if you’ve been used to eating ‘meat and two veg’, it’s important not to slip into just two veg. For inspiration from a culture with a history of getting its protein from a plant based source, we can again look to India, which has around 500 miliion vegetarians, and perhaps the most sophisticated and ancient vegetarian cuisine, based on the ancient medical understanding of Ayurveda, and using anti-inflammatory spices and flavourings which complement the flavours of vegetables and grains. Vegetarian Indian meals will always include a dhal or pulse dish, rice, a vegetable dish, and a chapati or pure. I don’t worry about making so much each time, but I always try to include a source of protein. Pulses are a cheap and filling way to do this, and my next post will be on the best way to cook pulses for optimum digestion, and digestion in general! For the time being, all the best!